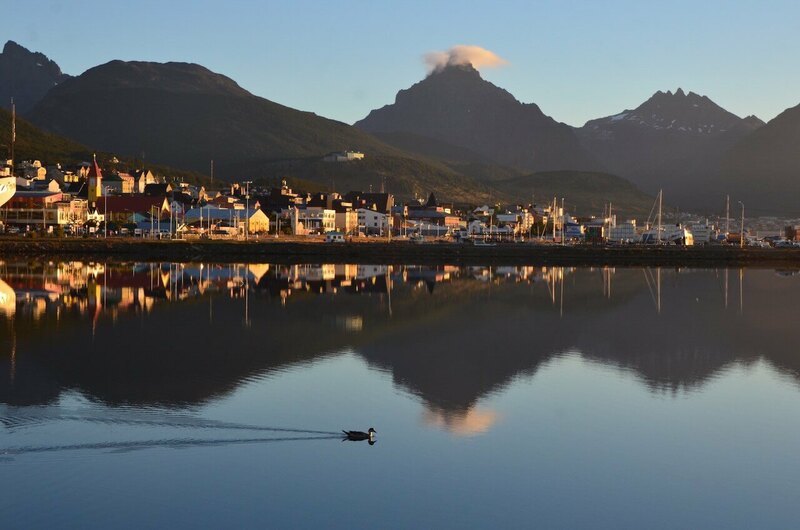 From Glacier Perito Moreno to the southernmost part of the American continent we cross the Magallanes straight and enter the fantastic land of Tierra del Fuego where the famous explorer Darwin marveled at the nature that surrounds what is nowadays the city of Ushuaia. Known as the “city at the end of the world”. 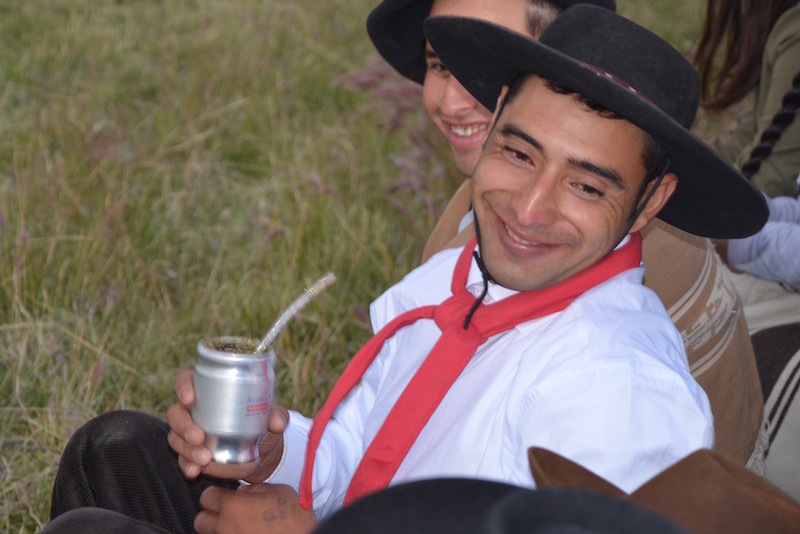 Meet the cycling group and mountain cycling guides in El Calafate. We take the sightseeing tour to Perito Moreno glacier. 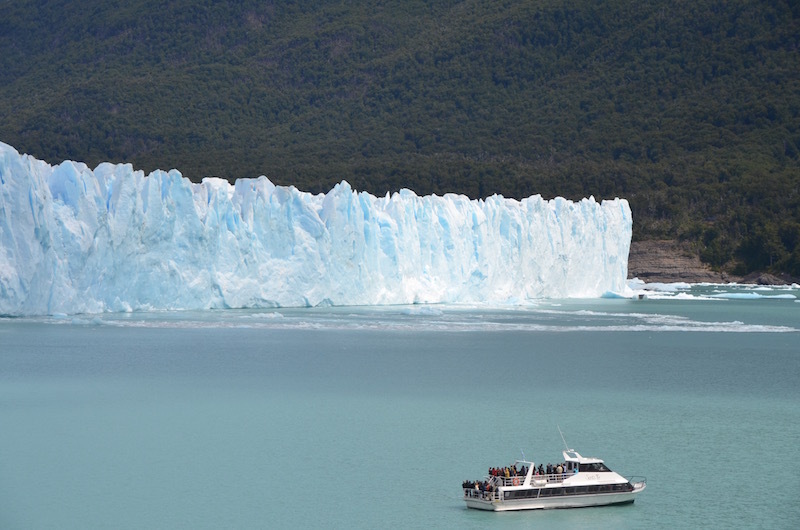 There is an option to go on a motor boat on Argentino lake and there to take a glacier hike (optional service not included). Dinner on your own. 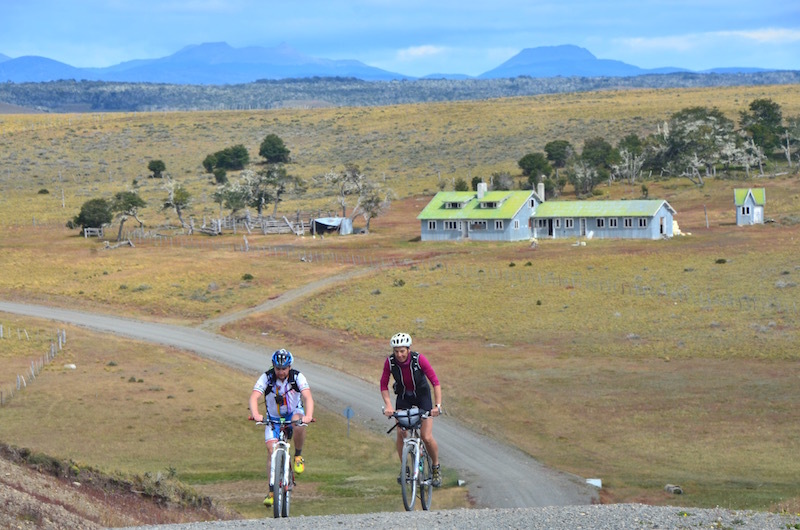 We start cycling through the Patagonian steppe with great views of the mythic mountains of Patagonia. The we continue riding on the support vehicle to the Chilean border. 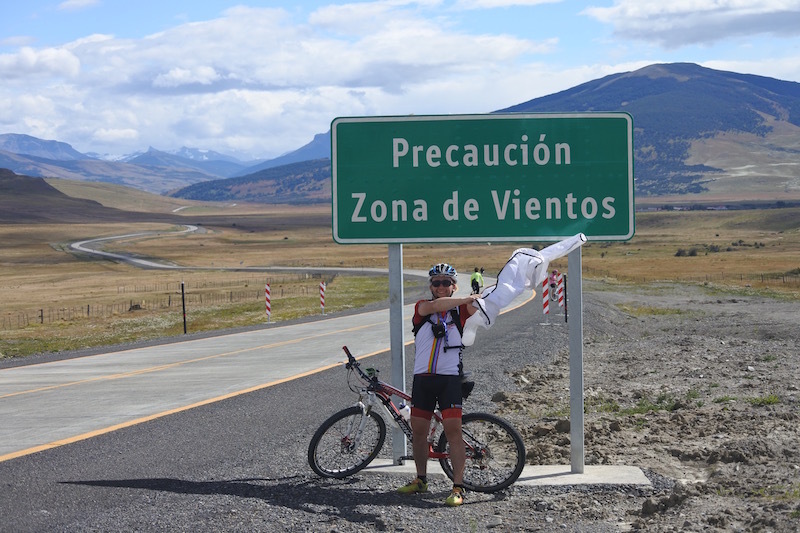 We cross the border to Chile cycling on our bicycles at Cancha Carrera pass. Lodging: camping, .with the option to sleep in bedrooms at an extra cost. 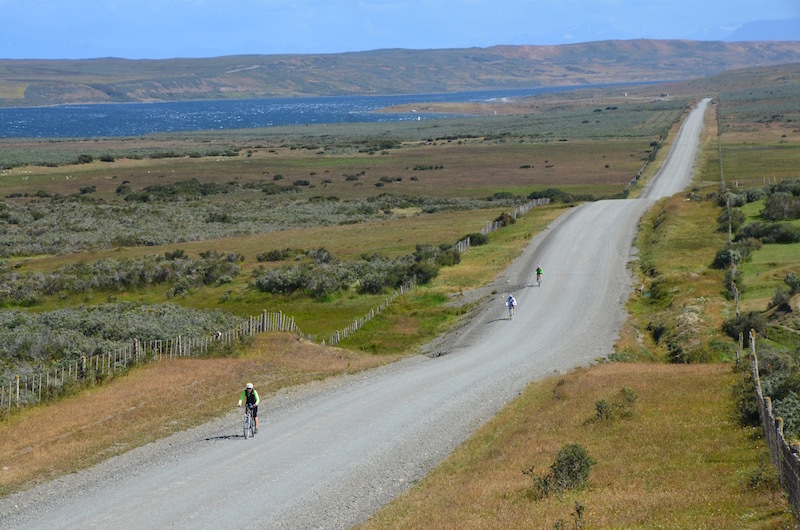 We cycle on hills finally arriving to the Pacific ocean at midday to the Puerto Natales town, Chile. Lodging: cabins on a privileged location near the sea side of the Pacific ocean. 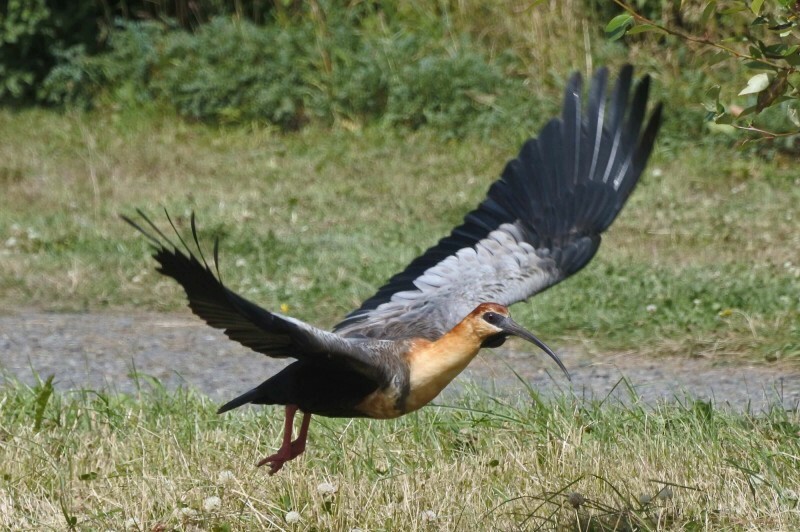 leisure day with optional tours on your own. 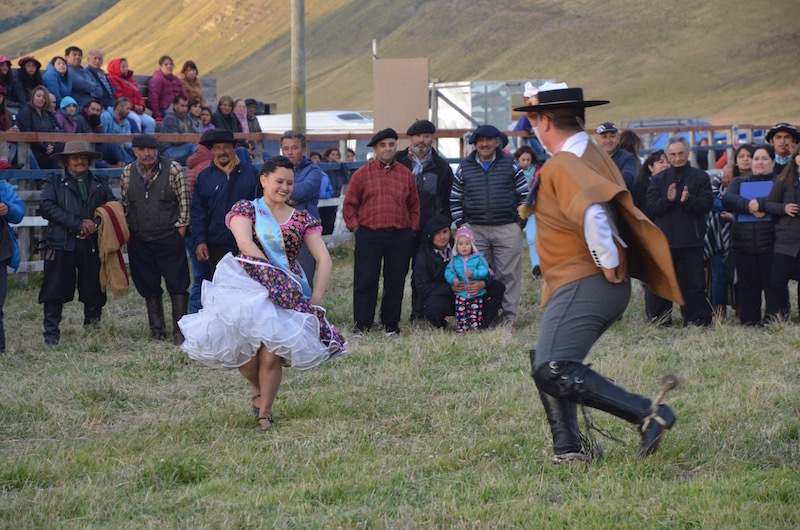 Options: tour to Torres del Paine national park, boat tour to the glaciers, horseback tour or a stroll through the Natales tour. We take the van to Villa Tehuelche, from there we continue cycling through a nice setting of slopes and and gravel roads toward Rio Verde cycling along the Skryring bay on the Pacific ocean. 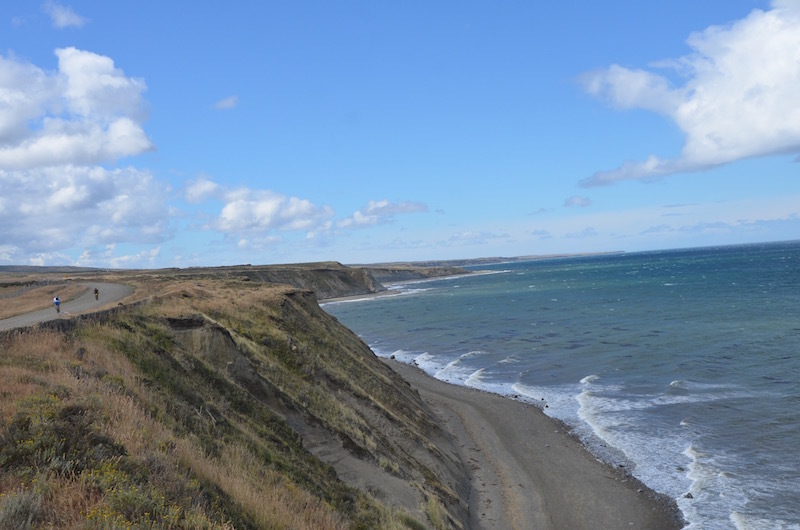 At km 95 we reach the Magellan strait. 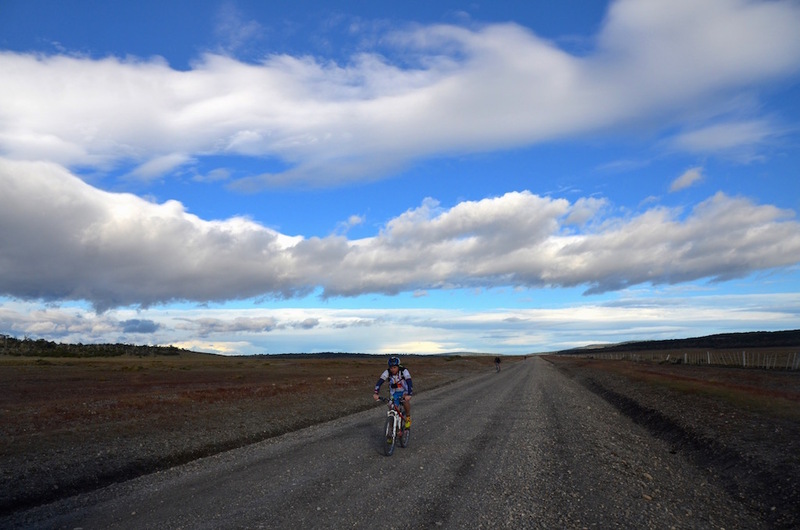 We continue cycling with ocean panoramic views until we reach Punta Arenas. 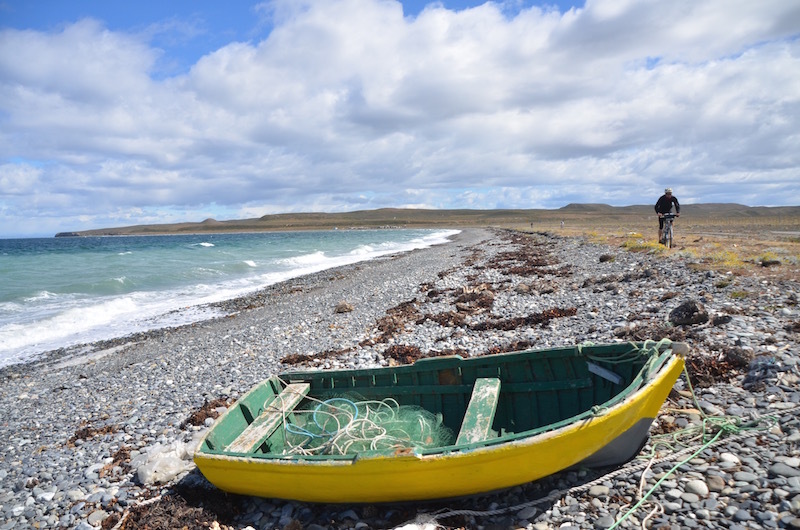 After we cross the Magellan’s strait on ferry (2h 40m) we arrive to Porvenir on Tierra del Fuego we continue cycling along the strait with spectacular views. 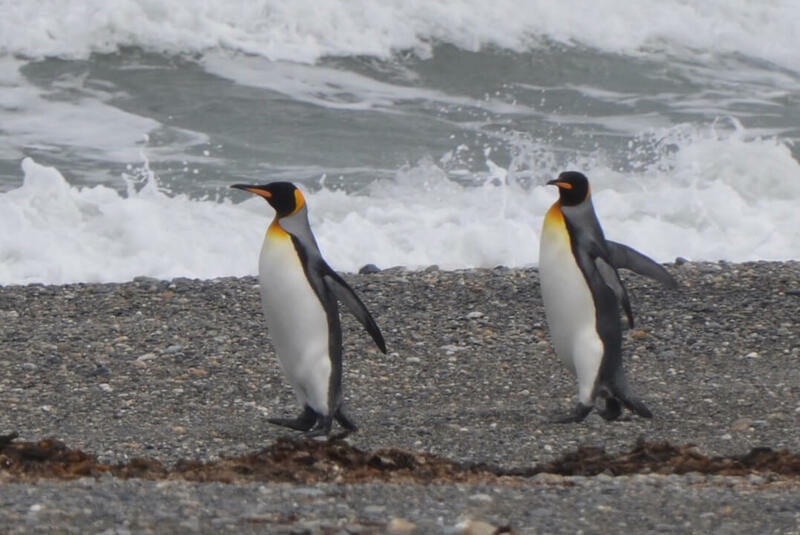 We continue biking along the Inutil bay with the option to visit Emperor penguins’ colony (km 45). 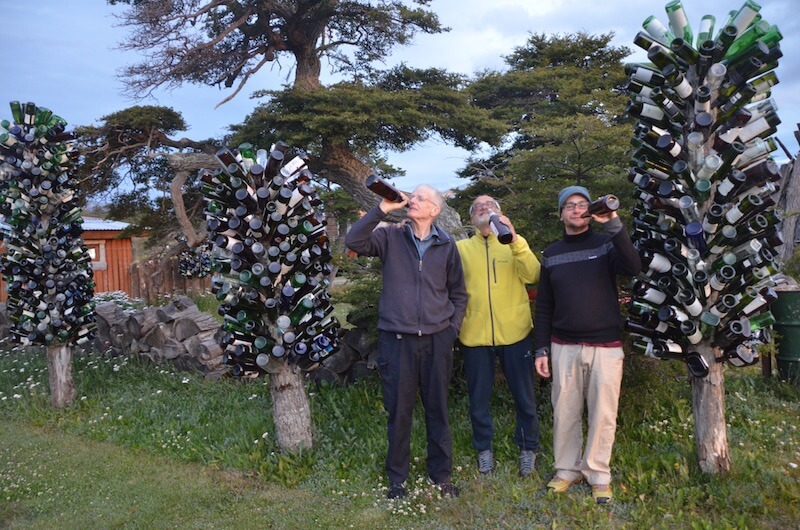 The we visit the penguin colony at Cameron (km 80), from there we detour to inland of Tierra del Fuego island biking through nothofaghus forest with great views to the snow capped mountains. We stay for the night at an inn in Russfin, an old saw mill. Daily biking ride: 120 km (gravel road). (Level difference: +750 mt. approx.). A stretch of road with some uphill and downhill sections cycling from the Pacific ocean to the Atlantic ocean. At km 60 we cross the border to Argentina, crossing the Bellavista river. from there we ride the van to Rio Grande town (16km) . Dinner on your own. Daily biking ride: 130 km (gravel road). (Level difference: 980 mt. approx.). 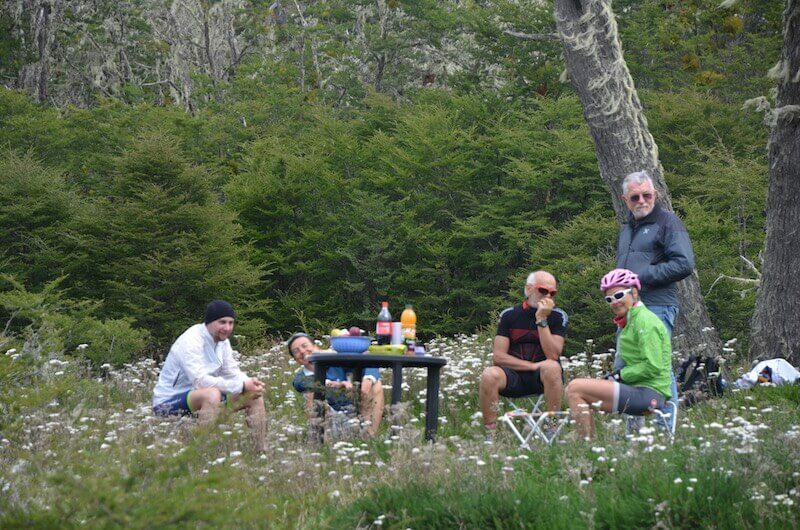 The first section of this day cycling trip we cycle by the Atlantic ocean, then we take a side road, gravel road cycling to the heart of Tierra de Fuego, to the nothofagus (lenga – kind of beeches trees) forest and beautiful huge lake Fagnano. Lodging: camping at Fagnano lake shore with the option to sleep in bedrooms at an extra cost. 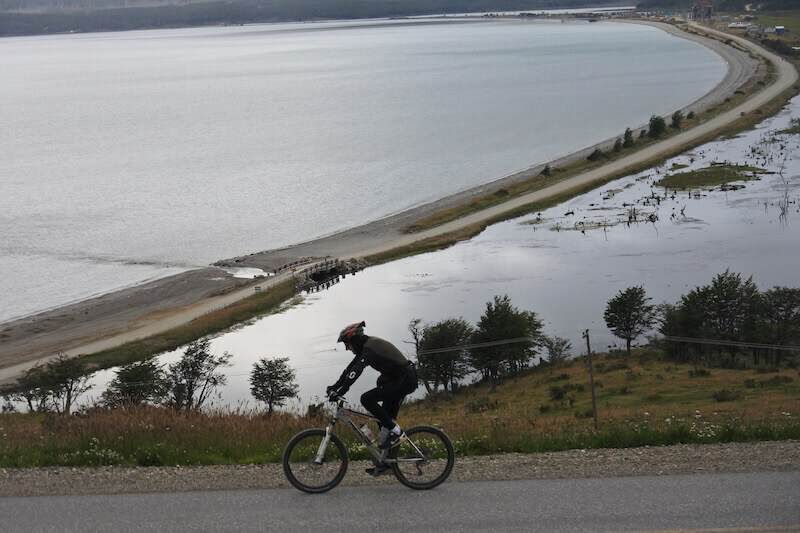 We cycle uphill to Garibaldi pass from there we have the best view of Tierra del Fuego. Garibaldi pass is one of the most beautiful passes in Patagonia. 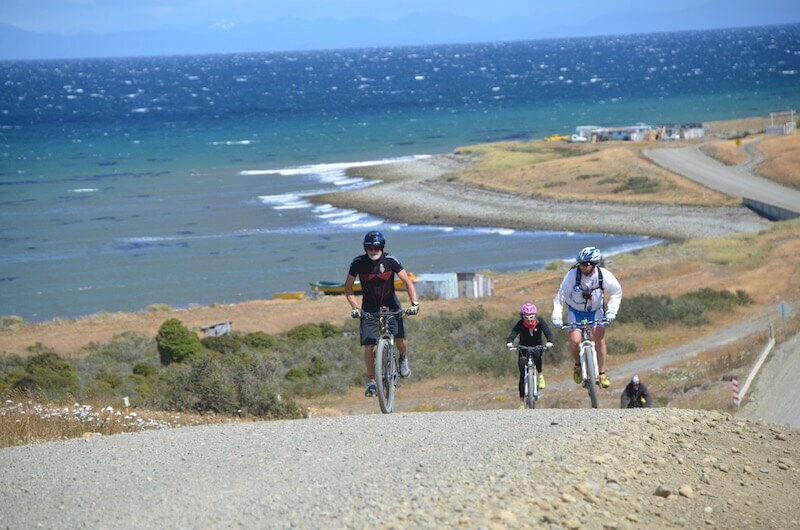 After a downhill cycling sections and some wavy stretches of the road we arrive to our final destination: Ushuaia. Celebration dinner. El Calafate and the "Los Glaciares"National Park (Glacier Perito Moreno), Torres del Paine and Puerto Natales (Chile). 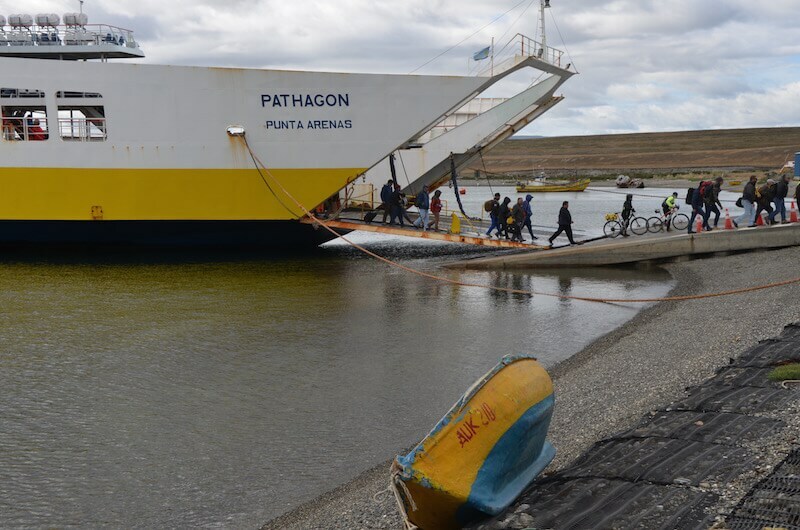 We cycle along the Magallanes strait and cross at "Primera Angostura". Tierra del Fuego: Rio Grande and Tolhuin. Lake Fagnano and Escondido. Ushuaia, Glacier Lemartine, La Pataia Bay. 780 km (230 km gravel road and 650 km de paved road). 250 km riding on a van . There is between 5 ºC and 25ºC ( we recommend using a sleeping bag with comfort temperature level below 0ºC”). 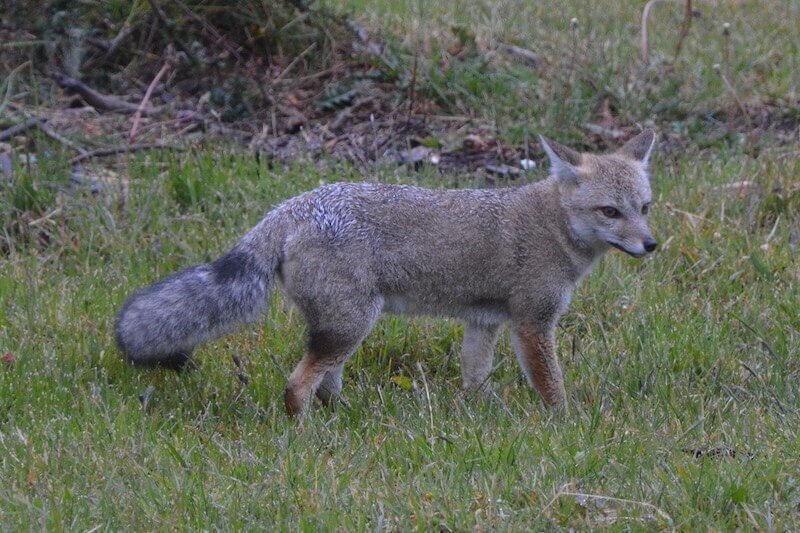 the weather is usually dry although you may expect rain at the Tolhuin and Ushuaia area. No need for saddlebags unless you want to carry your own photo camera. You need only a small bag (bicycle front bag) or small backpack to carry a spare clothing or windbraker, an energy booting candy bar and your camera. 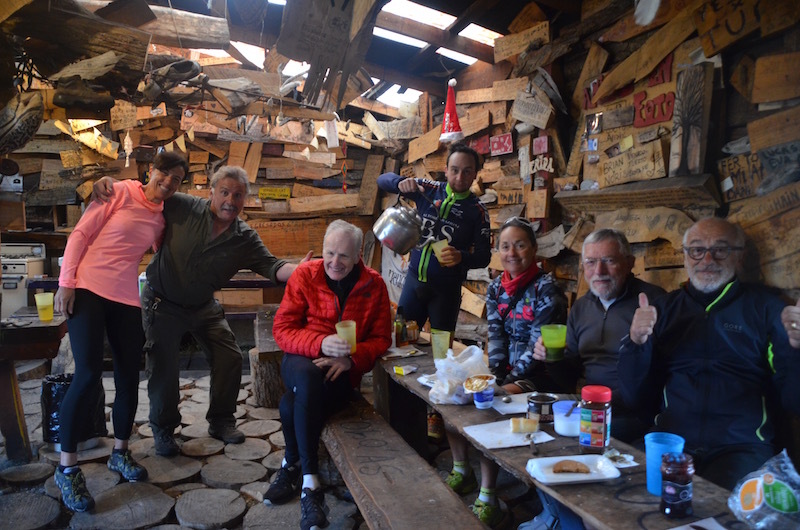 every 2 to 3 hours we stop for a snack where you have beverages (water, coffee, tea and juices) and energy bars and snacks. At noon we make a longer stop for lunch. Dinner, where it is possible, will be served in a restaurant or cook by our team. The support vehicle will be by the cycling group available any time when needed. minimum 5 people, maximum 8 people. Registration should be confirmed three month in advance otherwise an additional charge to the price may apply.